So apparently I’m really into pancakes. Unfortunately pancakes are not the most figure friendly breakfast, especially when you are trying to tighten up for summer. 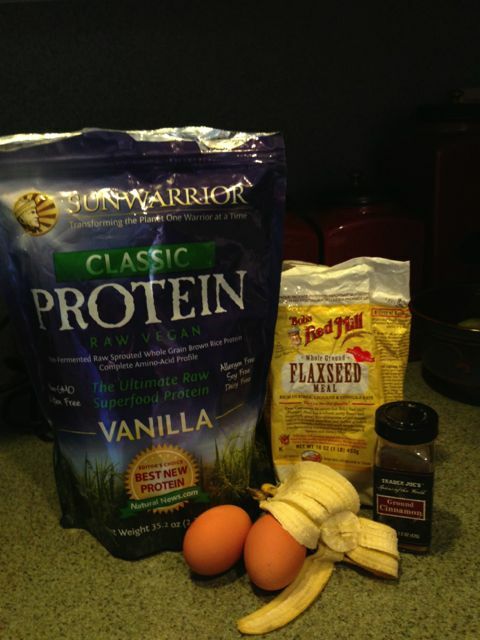 I have been working hard since the beginning of the year to eat a lot of protein and build muscle onto my weakling vegetarian body, and one thing I have found helpful is to eat a protein-packed breakfast. THE PROBLEM: What is a girl to do when all she wants to eat for breakfast is pancakes or oatmeal? So sweet, so carby and so lacking in protein. I have seen recipes for protein pancakes on blogs in the past but all attempts at recreating them at home have resulted in hopeless charred piles of nastiness. 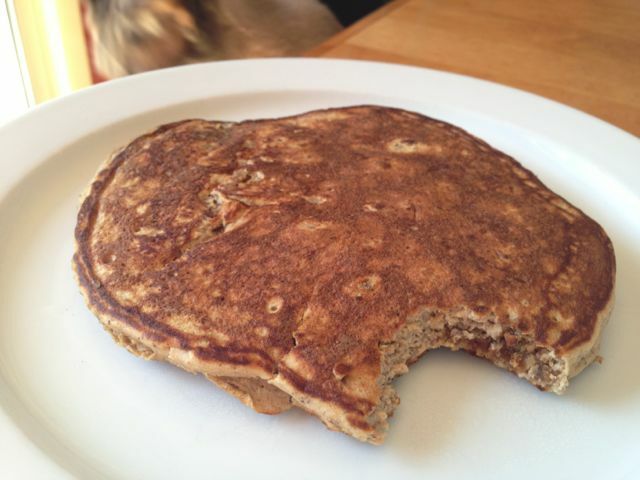 It wasn’t until I discovered ToneItUp.com and the Tone It Up Protein Pancake recipe that my faith in my pancake-flipping ability was restored. I love the Tone It Up girls, Karena and Katrina, and the amazing community of girls they have developed. I am currently doing their annual Bikini Series, which is a free 8 week program with workouts and nutrition tips to get girls into shape for the summer. 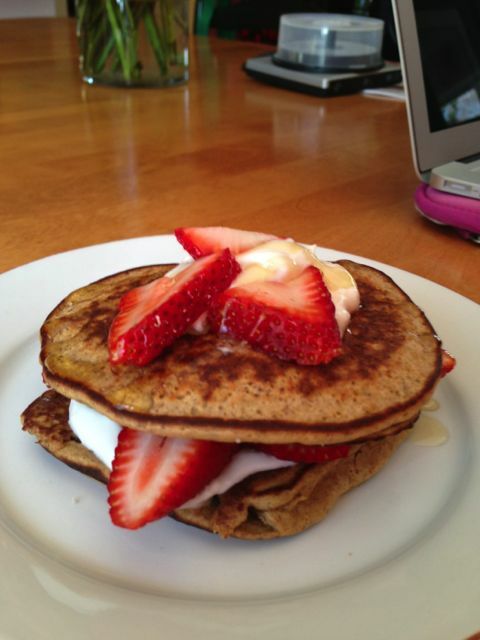 I have been eating protein pancakes almost every day for 2 months now and I haven’t gotten sick of them yet. They are surprisingly easy to make! I like to mix the banana, egg whites and protein in a blender to ensure even distribution, but you can mix by hand if you prefer. 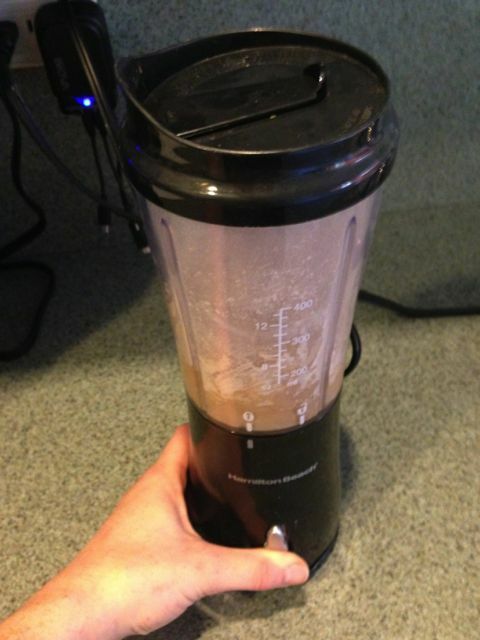 I then stir in the flax seed, cinnamon and any add-ins I might choose. Another thing I love about protein pancakes is that they can be so versatile depending on what kind of flavor combination I’m craving. 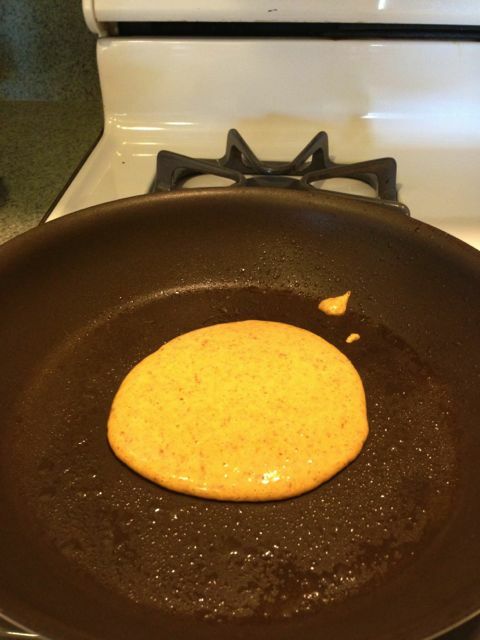 After all my ingredients are added I pour the batter into a greased skillet on LOW heat. It is important to cook protein pancakes cook low and slow, if the heat is too high they burn on the outside but stay raw on the inside. After 2-3 minutes, flip carefully. Sometiems I make one big pancake, and other times I make mini pancakes (which are easier to flip) and can be turned into pretty little pancake stacks. My delicious breakfast this AM was something I like to call a Strawberry Short-stack, made by layering greek yogurt and fresh strawberries with my pancakes. One recipe for protein pancakes makes one serving and packs in about 30g muscle-building protein which keeps me full much longer than my previous standard breakfast of oatmeal. 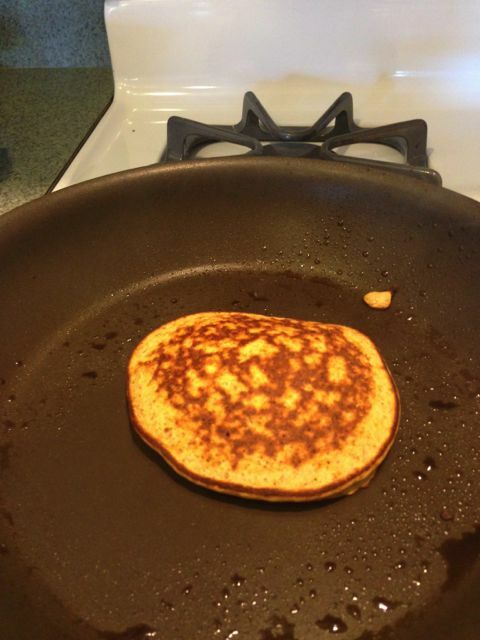 Of course its not a REAL pancake, but its a healthy substitution that looks and kinda tastes like a real pancake so its perfect for sugar-junkies like me! Good morning! Over this winter break I have had a bad habit of staying in my pyjamas until the afternoon. It is no bueno and today is no different. Maybe tomorrow I’ll make an effort to get out of the house before noon… maybe. 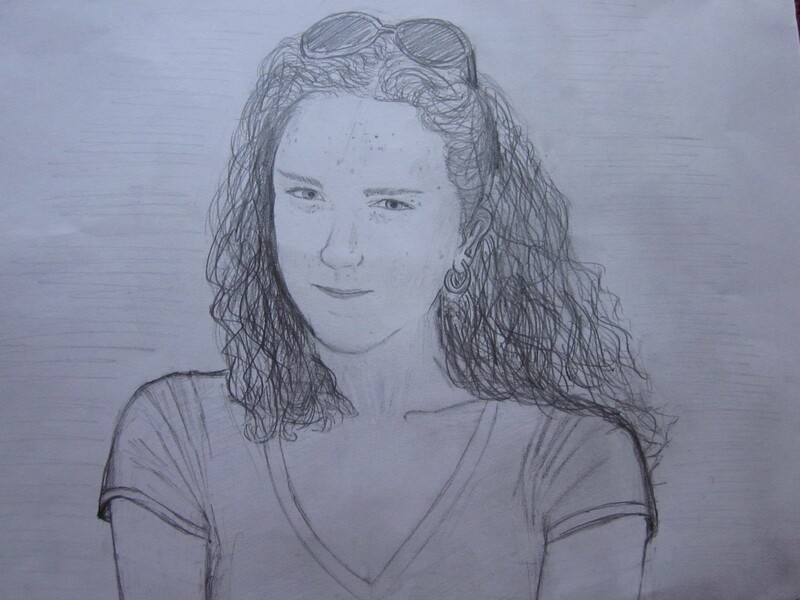 Check out this awesome drawing Dan did of me for our 2 year anniversary! 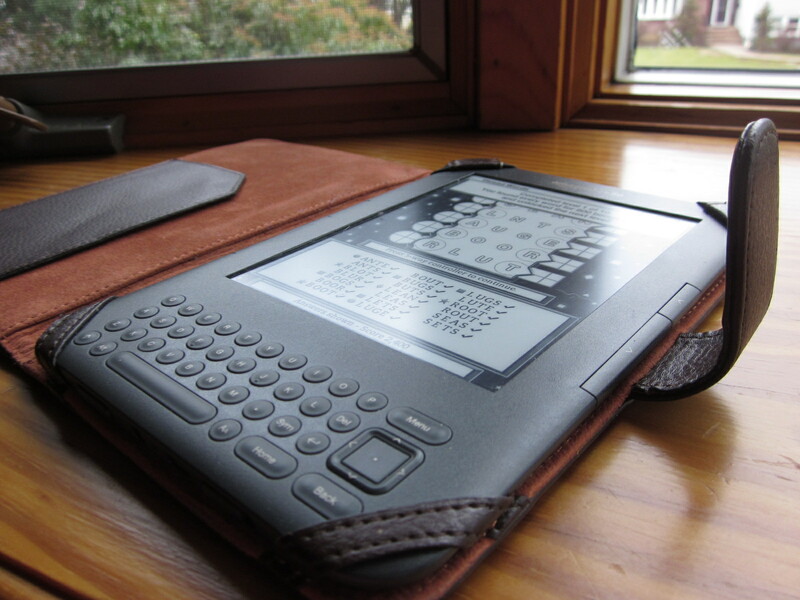 Isn’t it great? It looks just like me! I can’t believe we have only been together for two years, it feels like forever (in a good way!). 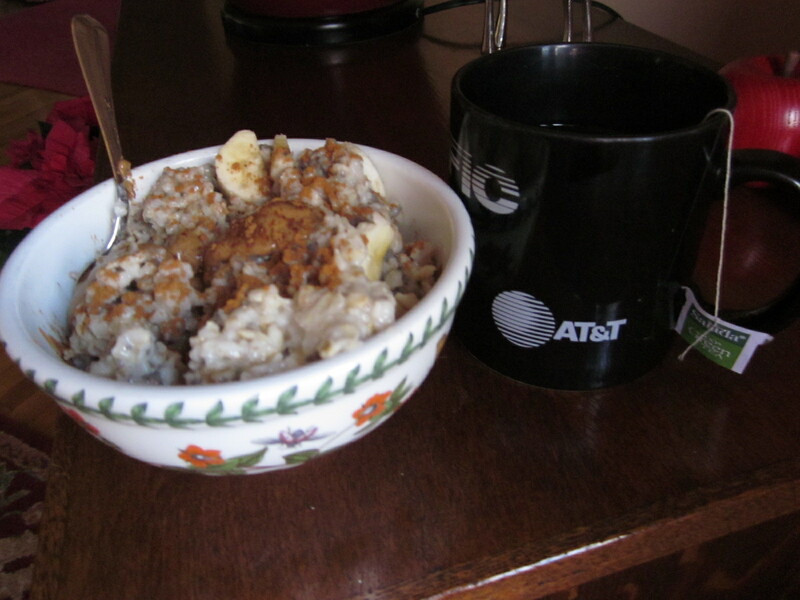 For breakfast today I had a simple filling bowl of overnight oats coupled with a steamy cup of green tea. I used Chocolate Covered Katie‘s voluminous oats trick and microwaved 1/2 cup of oats with 1 1/2 cups of water for 4 1/2 minutes, left it in the closed microwave for 5 minutes and then transferred to the fridge overnight. 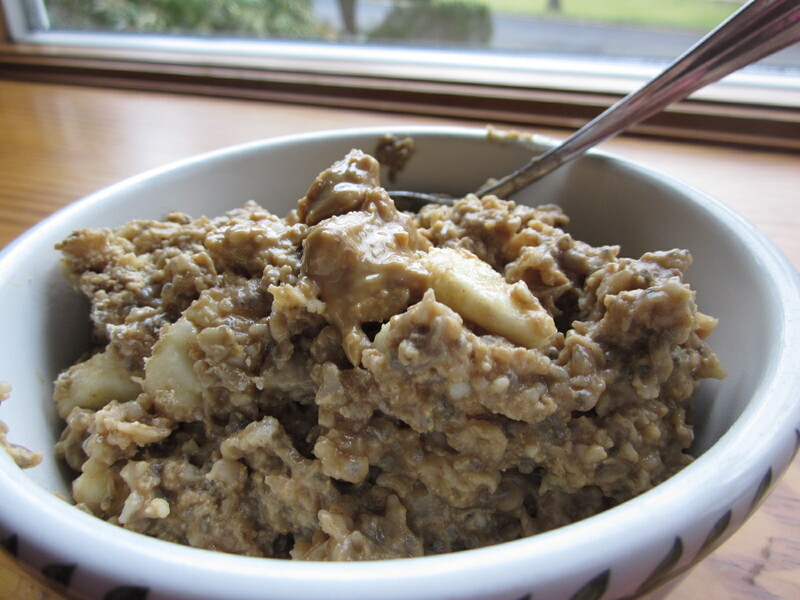 I love this method because it feels like you’re eating a lot of oats but you’re really not! I also added 1 tablespoon of chia seeds to the oats before I put it in the fridge and added 1/2 sliced banana, cinnamon and a small scoop of almond butter before inhaling it this morning. Holy yum! I’m feeling pretty sore in the hips and behind my knee from physical therapy on Friday and walking the 5k yesterday afternoon so I’m going to do some gentle yoga. I’m at my parents house in New Jersey until I start culinary school at the end of the month so I’m really missing my normal yoga studio. I found some free yoga podcasts on iTunes though so I’m going to try one of those today. Other than that I think I’m going to do some shopping this afternoon with some of my holiday gift cards and try a new recipe this evening! I woke up after 9 1/2 glorious hours of sleep at 10 this morning. I was super hungry after sleeping so long and craving oats in a big way. 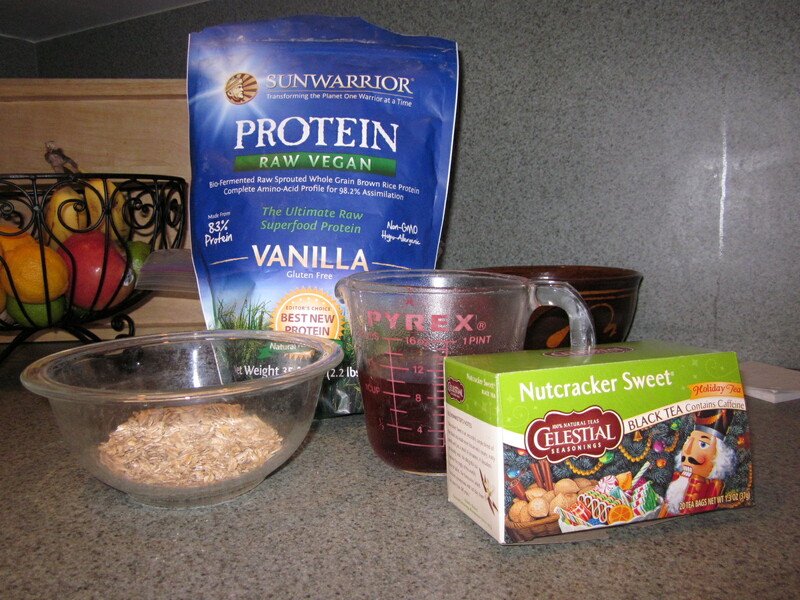 I saw CCK‘s post about Sugar Cookie Oatmeal yesterday using sugar cookie flavored tea bags, so I thought I would try making some oats with some of my holiday inspired nutcracker tea. Pretty color (and caffeine) from the tea! I think this recipe could be really versatile. What about green tea oatmeal with apple slices and a drizzle of honey? Or Earl Grey oatmeal with a splash of orange juice? I’m going to make cupcakes for my birthday tomorrow! 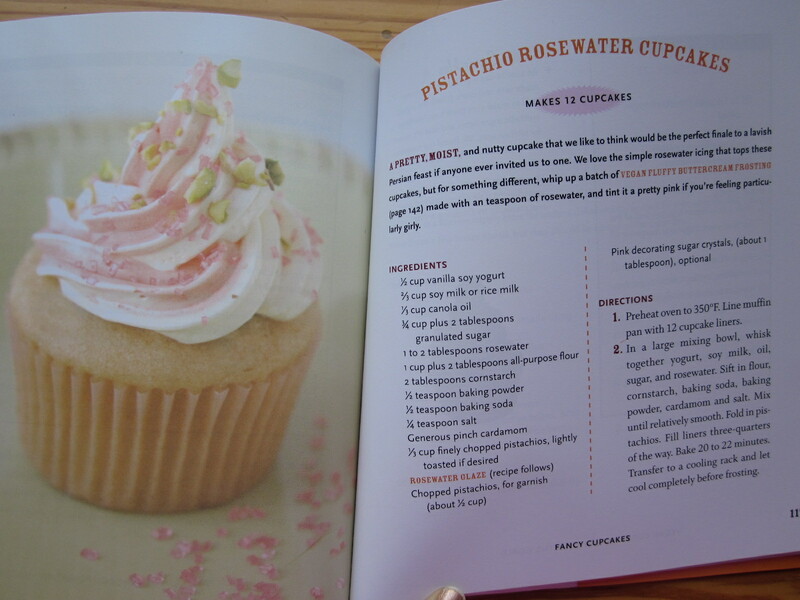 I was looking through my copy of Vegan Cupcakes Take Over the World that I got for Christmas, and decided on making Pistachio Rosewater Cupcakes with pink vegan butter cream frosting! I gotta make a pit stop at Whole Foods later to get ingredients but I think these cupcakes are going to be awesome, girly and pretty (just like me?)! 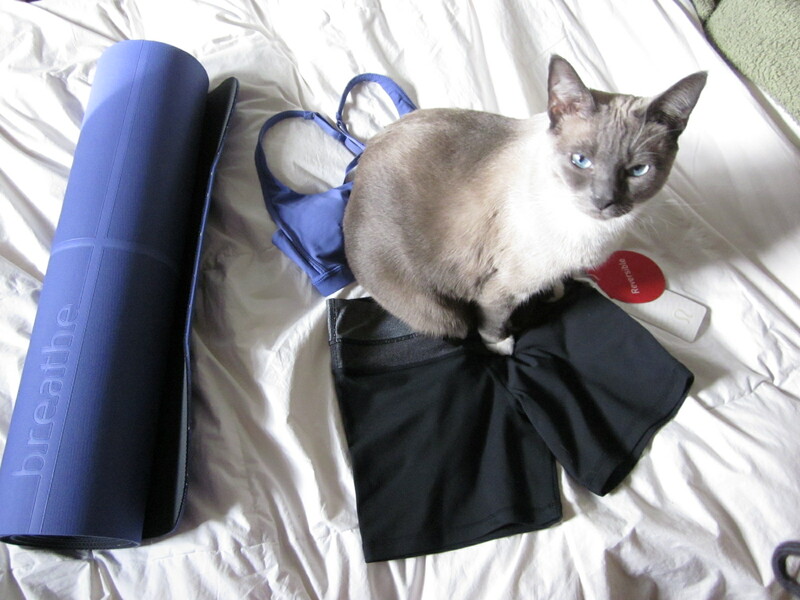 Before I head out I’m going to do a yoga video in my new outfit and with the new yoga mat I purchased yesterday at Lulu! I was going to do an upper body workout at the gym again today but I’m still so sore from Monday so I’m pushing that back until Friday. 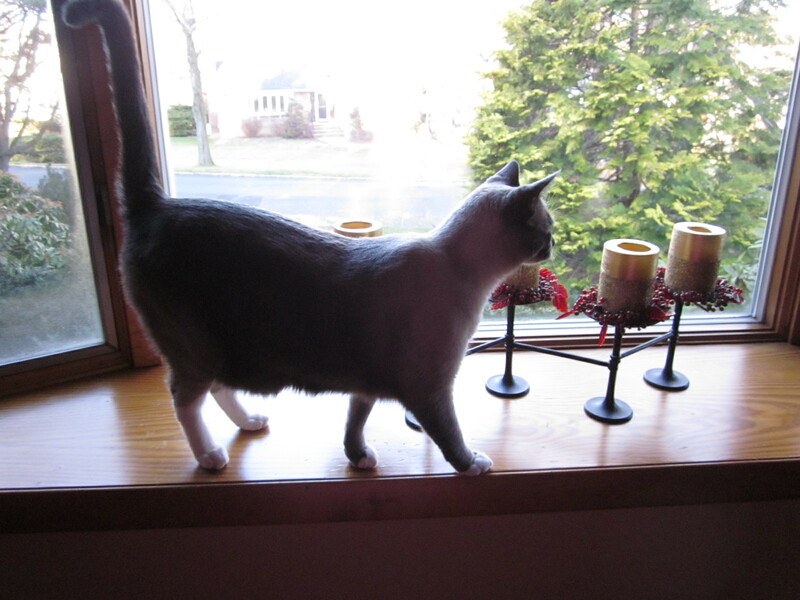 Henry likes to initiate any new surface into the house by sitting on it. As I mentioned earlier, I’m making my own bday cupcakes this year. This is actually going to be my fourth year in a row making my own cake, but I don’t mind since I love baking. I never thought it was an issue but some people seem to think its sad to make your own cake. I would love to hear some of your thoughts on the matter! Off to ohm I go!